Well were nearly a quarter through 2014 and I’ve only done one new print so far arrgh! I’ve got lots of ideas and a few designs are in various stages of completion. In the mean time here’s a new print based on a previously done a canvas piece I did a few years a go now available as a limited run of 50 screen prints. Posted in Prints. 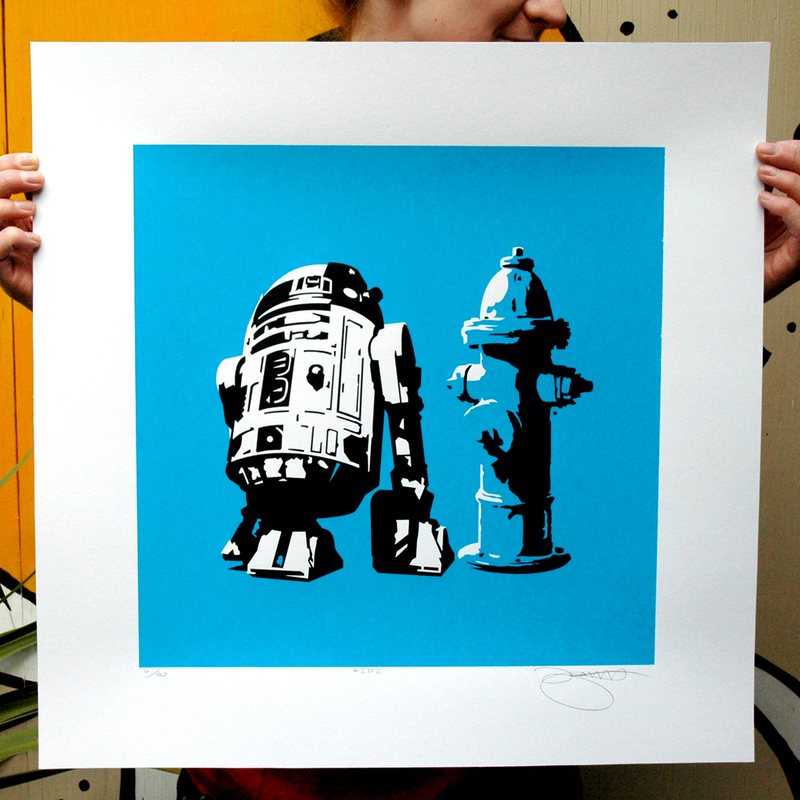 Tagged with Blue, Print, r2d2, Screen print, Star Wars.